Guests staying in the resort for the weekend, will receive a complimentary kite-making kit. Anantara Hotels & Resorts on Sir Bani Yas Island, an island 170km southwest of Abu Dhabi, is inviting friends and family to come together for some classic fun under the sun with its Annual Kite Fest, slated to be held on February 19. Participants will be able to learn the joy of making their own kites and flying them on the beach, washing the skies with all sorts of shapes and colors over a complimentary sausage sizzle and music starting 10:30 a.m. and throughout the afternoon. Prizes will be awarded across a range of categories. Registration will be open to people of all ages in January, and all participants will be provided with complimentary water taxi transfers on the day of the event. “At Anantara we aim to create experiences which leave lasting memories for our guests,” said Mrs Sharon Garrett, Anantara Hotels Resorts & Spas Abu Dhabi area director of marketing & communications. 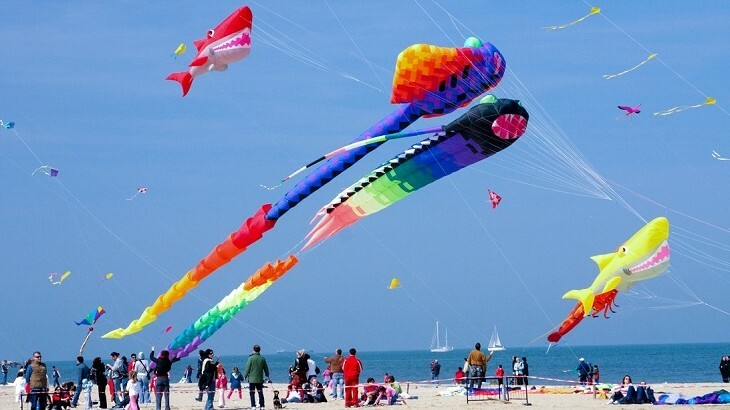 “The introduction of a kite festival is one of those events, which has been created to focus on ‘family time’, encouraging creativity and bringing people together in a safe and entertaining environment”.